I looooove Face Mask Friday! 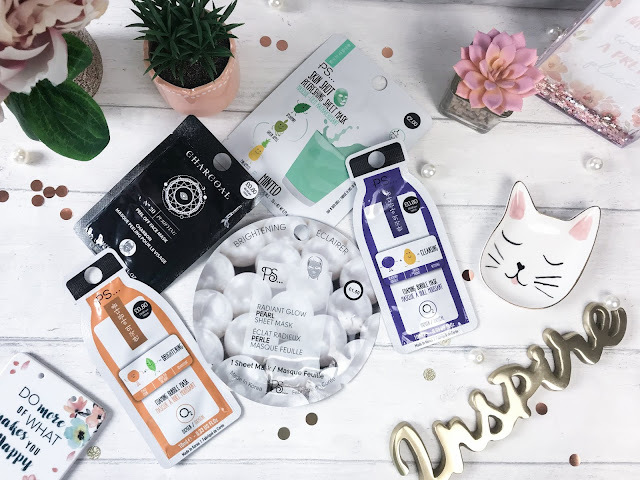 I have been making the effort to use more face masks lately and it really has made a difference with my skin and particularly sheet masks are so quick and effortless to use that I just pop them on whilst I am in the bath. This week I am focusing on Primark Face Masks as they have such a wide range of different kinds and they of course are unbeatable value. 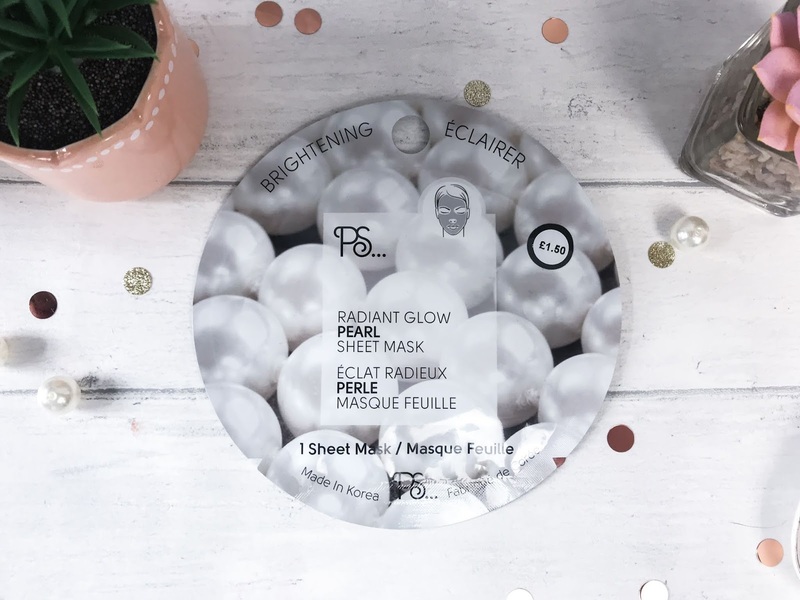 The first one that really caught my eye is the Radiant Glow Pearl Sheet Mask (£1.50). The packaging on this reminds me a little of the Sephora ones and pearls are one of my favourite things. The Pearl Mask is a brightening sheet mask and is to be placed upon cleansed dry skin and left on for 15-20 minutes to give the skin a fresh, healthy glow. I don’t always time my masks, I don’t think it is overly important, and so I just leave them on until I am ready to get out of the bath. 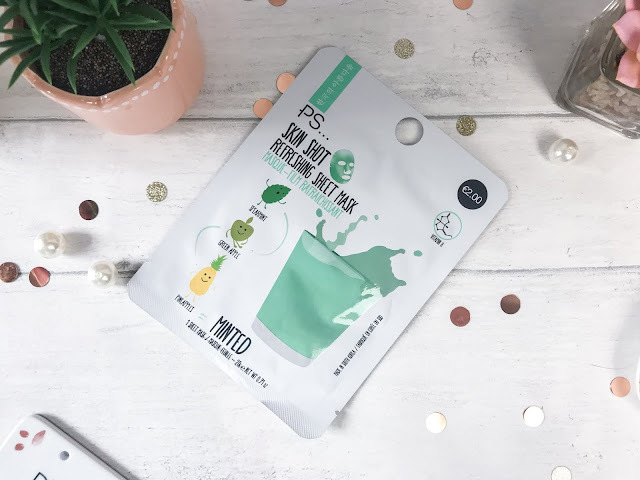 We then have the Skin Shot Refreshing Sheet Mask in Minted (£2). I love anything minty as I find it really invigorating and as this one contains Spearmint, Green Apple and Pineapple I really wanted to give it a whirl. Due to us having warmer weather recently, I figured a refreshing mask would be perfect after having a lazy day in the garden. This is also a sheet mask and recommends being left on for 15-20 minutes, although it does state not to use on blemishes so bare that in mind if you suffer from them. My next two are the Foaming Bubble Masks, as I thought the packaging was really cute and at 80p each they are insane value. I opted for a Cleansing Mask and a Brightening Mask and the foaming treatment feels really moisturising on the skin. The Brightening Mask contains Peach and Green Tea, whilst the Cleansing Mask contains Blueberry and Papaya and they both smell delightful. 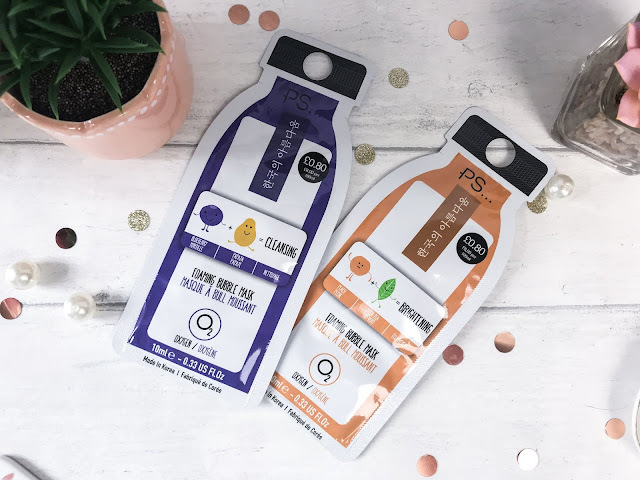 Recommendations are to leave the mask on for 15-20 minutes again, and these are to be applied straight to the face in a liquid form rather than sheet form. 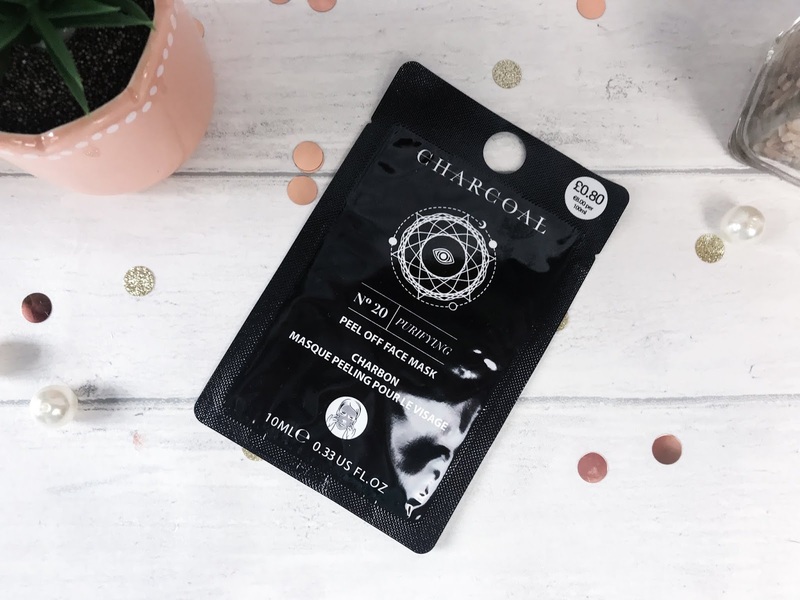 A lot of people have raved about charcoal peel-off masks and so I picked up the Charcoal Purifying Peel Off Face Mask (80p). Again, such an amazing price, and nowhere near as painful to remove as the ones on the likes of Instagram look! You simply apply a thin layer of this black mask to the face, wait 15-20 minutes for it to set and then gently peel away to give the skin a soft, purified look and feel. I really enjoyed using this one as I think it is so satisfying peeling something off - I am terrible at not peeling off nail polish! These Face Masks and a whole lot more are available instore at Primark.